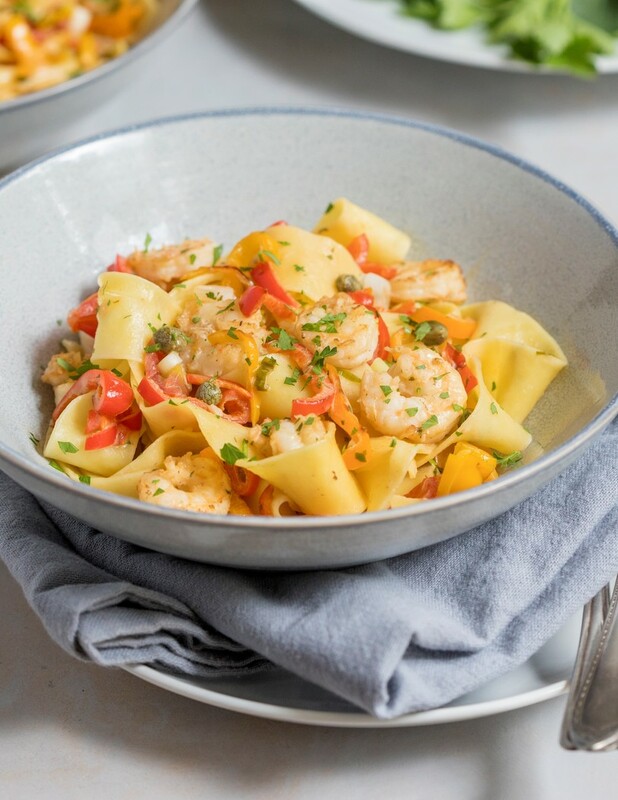 Thick ribbons of pappardelle pasta are an elegant vehicle upon which wild-caught Gulf shrimp, fresh garlic, sautéed sweet peppers and a splash of heavy cream come together to form a rich symphony of flavors. 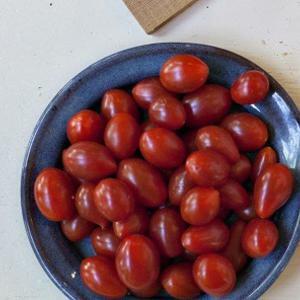 Fresh chopped tomatoes marinated in capers, lemon juice, green onion and parsley for extra zing are folded in at the last minute to balance the creamy, savory flavors in the dish. Suggested beer pairing Pepper Ale Luckily, pepper beers exist, which is nice for pairing a dish featuring peppers. We suggest Oconee Brewings Three One-Thousand pepper pale ale. 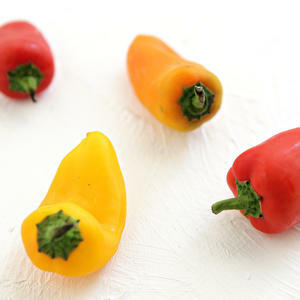 Its pepper burn is not overwhelming, and will directly complement the sweet peppers in this dish. 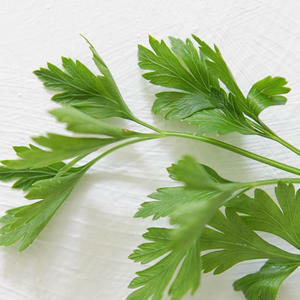 Suggested wine pairing Falanghina - Campania, Italy Lemony flavors get along quite well with garlic, to take a lesson from classical matches in cuisine. A citrusy, high-acid white wine will complement the garlic notes found in this dish, and strike an even tone with the lemon and tomato marinade. 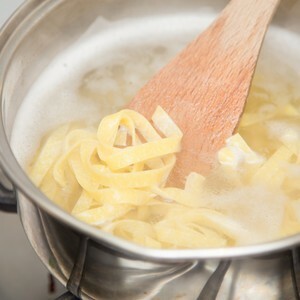 • When water boils, add pasta. Cook, stirring occasionally, until pasta is tender but not mushy, 6-8 minutes. 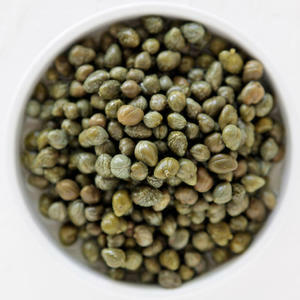 In a bowl, combine tomato, green onion, capers, lemon juice, 1 teaspoon olive oil and 1/4 teaspoon kosher salt. 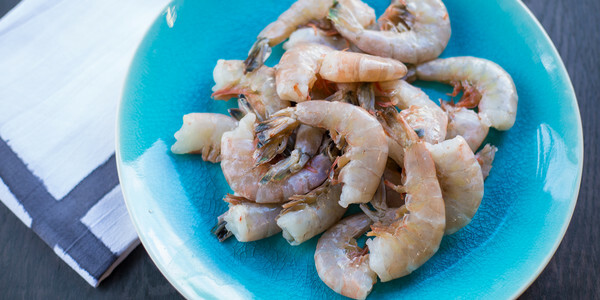 In a bowl, toss shrimp with garlic and 1/4 teaspoon kosher salt. • Place a sauté pan over medium heat. Add 1 teaspoon olive oil. When oil is hot, add peppers. Cook, stirring, until peppers wilt, 4-5 minutes. • Add shrimp. 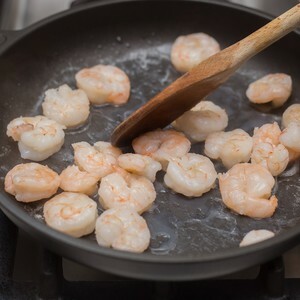 Cook, stirring, until shrimp is opaque throughout, 4-5 minutes. 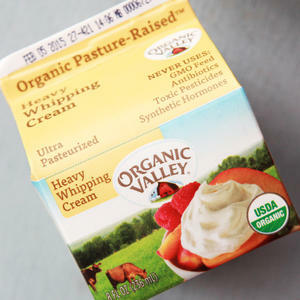 • Stir in 1/4 cup cream (save remaining cream for another use). 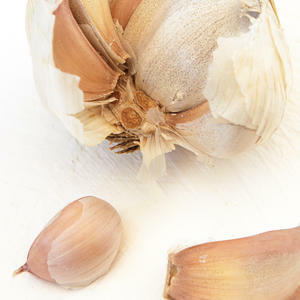 • Toss in pasta and tomato mixture. • Adjust consistency as desired with reserved cooking liquid. Taste and adjust seasoning as desired. • Divide shrimp pappardelle between 2 plates or bowls.